Whelp, this year's relatively boring edition of Big Brother is over, and I've got a whole bunch of things I want to talk about. When I say boring, I'm speaking more in terms of the gameplay that went on. Derrick pretty much ruled the roost from day one, and nobody had the intelligence or foresight to stop him. That being said, it was still entertaining to watch everything go down. Ok, I'll stop my blathering, here's the stereotypical list! 1. I look young for my age. Looking at this year's cast, I noticed that pretty much all of them were within a couple years of my age. Nicole and Hayden are younger than me, and Zach is a year older, but by and large this was basically a group featuring kids from my generation. That in itself was a shocker, but what surprised me the most was how old these people looked! I would have sworn that Victoria was 28, Nicole was 25, and guys like Devin were 33ish. This could be a case of me looking way too young for my age (I get the "you look 17" comment frequently), or maybe these people just look unusually old for being in their early 20s. I suppose I knew people in college who looked old like them, but I'd say I knew far more who gave off a youthful aura. I don't know, this is probably my OCD speaking, I just couldn't get over how high-schoolish I look compared to these fine folks. 2. Intelligent people have a huge advantage (thanks Captain Obvious). Watching Derrick steamroll a house full of fruit-loop dinguses was amusing, but anticlimactic. The only reason this occurred was because he was going up against frat boys, pretty girls, Christine, and Frankie (yeah that was a joke). I mean, Cody is a cool dude, and Zach is hilarious and an accomplished troll, but neither showed any real intelligence on a level equaling Derrick's. Zach came across as a smart guy, but his self-stereotyping and entertainer personae got in the way of his gameplay and precluded him from recognizing the man who was pulling all of the strings. You could say that Frankie is intelligent, but again, he was far too concerned with socializing and pumping himself up. Ok, so what am I trying to say here? Basically, that Big Brother threw a bunch of overblown stereotypes into a house against an undercover cop (Derrick). What chance does someone like "Pao pao" (lol) or blue haired Joey have against a scheming, 24/7 game player who is constantly focused on manipulating people in order to win money for their newborn daughter? Practically zero. It's like putting Kobe Bryant against your local YMCA's best basketball player. One more thing. We know it, Derrick knows it, Zing Bot knows it. He's not the prettiest guy on the block. But, in this game, that was a HUGE advantage. No girls to cloud his judgement, no need to prove his masculinity against fake tough guys like Devin and Caleb. He could sit back, appear innocuous, and move all the other dimwits around like pawns on a chess board. Honestly, when two of Derrick's biggest threats were Nicole and Donny, he's pretty much got it in the bag (don't get me wrong, I loved both of them, but compared to Derrick they are, to quote Spongebob, wet matches in a dark cave). 3. I want more competition! That diatribe about intelligence brings me to this point: Big Brother needs more Derricks and less Paolas, Joeys, Victorias, etc. I suppose those kinds of people make for good early elimination fodder, but I want excitement! The producers of Big Brother need to stop casting stereotypes, and start looking for gamers. Sure, they can be gamers with personalities, but I want a house full of people who are willing to backstab, plan, and think about their next move at all times. The closest thing we'll get to that is another edition of Big Brother All-Stars, which I suppose will have to do. I'd be fascinated to see how Derrick would do in a house full of other great players. 4. Pseudo stars should not be included in the cast. This season was almost ruined by having a jerk like Frankie Grande win a spot on Team America just because he's got YouTube followers and a globally famous sister. Thankfully he didn't win and receive prize money he doesn't even need, which would have been even more of a sham. Keep the cast to "relatively" normal people, like Derrick, Zach, and Donny, and we'll be good. 5. 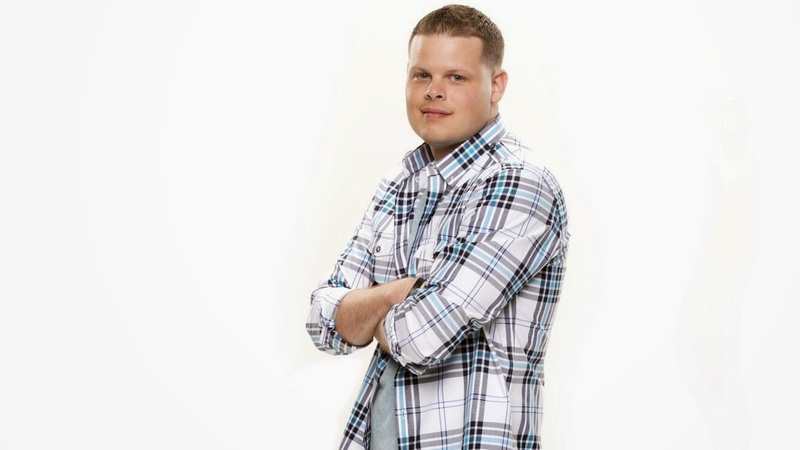 Derrick is the best player in Big Brother history. This whole list sort of hinted at this, but I figured I'd just come out and say it. Compared to Doctor Will, who won by getting people to hate him, and Dan, who won similarly to Derrick but not as cleanly, Derrick really is the best that's played this game. Maybe he had the odds stacked in his favor, being an experienced undercover cop playing against a collection of, to quote Zach again, fruit-loop dinguses, but even so, what he did was incredible. He made it to the end without being nominated once, convinced people time and time again to think what he wanted them to think (inception), deflected blame so well that nobody hated him, and indoctrinated his one true ally, Cody, to such an extent that the poor boy took Derrick to the final two despite the fact that this meant he was basically forfeiting the grand prize. I know many will disagree with this, but I stand by my opinion. Will was great, but he wasn't on Derrick's level in terms of ability to manipulate. Dan pulled off feats similar to Derrick, but wasn't able to keep the blood off his hands as effectively. It is an undeniable fact that Derrick made Big Brother look easy, and that's hard to do. It was the easiest I've ever seen anyone achieve victory in 16 seasons, and I don't think we'll see anything like it again, as this season truly was a perfect storm in terms creating an environment that allows a puppet master like Derrick to dominate the house.